Scotland international Chris Harris has extended his stay at Newcastle Falcons after signing a new two-year deal. Harris made his professional rugby debut with Tynedale in 2009 before he moved to Newcastle Falcons in 2014 and since then has played 94 times for the Kingston Park outfit including 70 Premiership games. 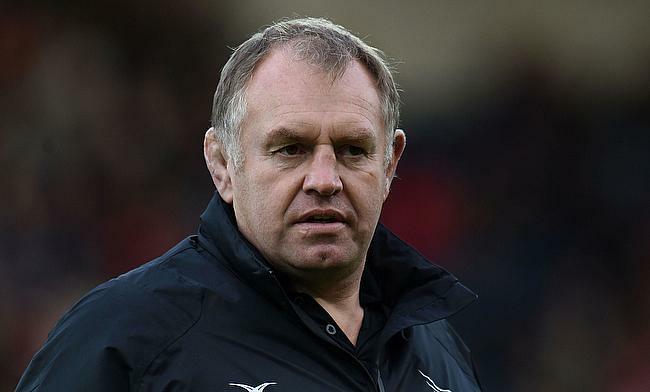 “I’m really happy to commit once again to Newcastle Falcons," he told in a statement released by the club. “They’ve been my one and only professional club, we have a great group of boys and I want to stay and be part of something special here. The 28-year-old was called up to the Scotland squad in November 2017 when he made his debut against Samoa and recently scored a try in the side's Six Nations victory over Italy in the tournament opener at Murrayfield Stadium. He has featured in seven Tests until now. “Chris is a very consistent performer who has worked hard to become a Premiership regular and earn full international honours," said Newcastle Falcons director of rugby Dean Richards. “He is very strong in defence, he has the pace to trouble opposition defences and he provides a great link to the attacking talent we have out wide.